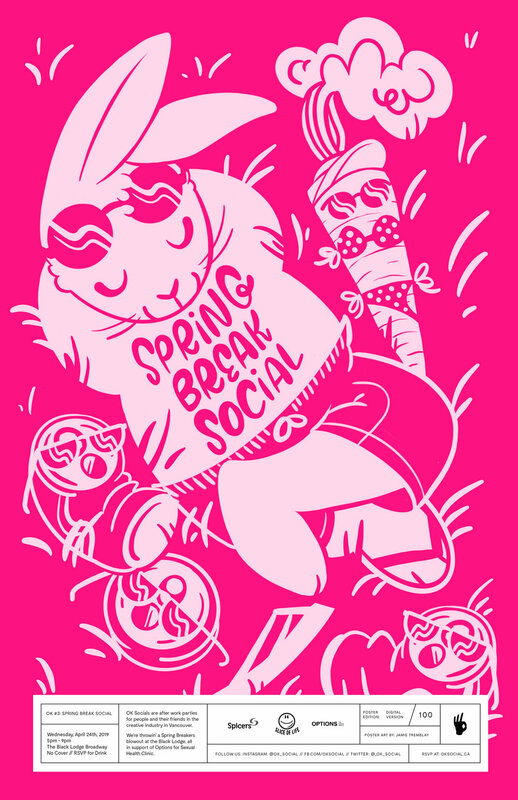 We’re back and ready to celebrate that sweet spot before summer with our Third Vancouver event, the Spring Break Social at the Black Lodge. Come hang out with other creative types and talk about the things you love and support Options for Sexual Health. We will have cool swag and cool people. Poster by our good bud Jamie Tremblay. RSVP below for a free drink from Postmark Brewing at the event!